Naboo is the third of five planets orbiting a yellow star in the Chommell sector, Naboo was first settled by human colonists from the planet Grizmallt thousands of years ago. An idyllic world close to the border of the Outer Rim Territories, Naboo is inhabited by peaceful humans known as the Naboo, and an indigenous species of intelligent amphibians called the Gungans. Naboo's surface consists of swampy lakes, rolling plains and green hills. Its population centers are beautiful -- Naboo's river cities are resplendent with classical architecture and greenery, while the underwater Gungan settlements are a beautiful display of exotic hydrostatic bubble technology. Naboo is a geologically unique world. It lacks a molten core, indicative of an ancient world. The planet is a conglomerate of large rocky bodies permeated by countless caves and tunnel networks. This causes numerous swampy lakes on the surface, which lead deeper into the planet's structure. The native Gungans have developed transports that exploit these cave networks, but even these hardy explorers pause at venturing too deep into the planet core, for it is infested with gargantuan sea beasts with ravenous appetites. When the senate enacted a measure that would increase taxation along outlying trade routes, the credit-hungry Trade Federation protested by blockading Naboo. A screen of huge warships surrounded the planet, cutting off supplies to the Naboo. The world's leaders, Queen Amidala and Governor Sio Bibble, were taken captive by the Trade Federation's droid armies. Jedi Knights sent by Supreme Chancellor Valorum freed Queen Amidala, and she then journeyed to Coruscant, to request the senate's intervention in the blockade. Even Naboo's representative, Senator Palpatine, could not get past the bureaucratic stalling tactics of the Trade Federation. Disheartened with the senate's inability to act, Queen Amidala took actions into her own hands. When the Grizmallt colonists and the native Gungans first met, there was a profound failure to understand one another, and tensions between the two cultures continued for thousands of years. Queen Amidala returned to Naboo and recruited the help of the Gungans. Together, Naboo's two cultures were able to repel the Trade Federation invasion, and bring peace back to the serene world. Despite the suffering caused by the Trade Federation invasion, the end result brought about new prosperity for the planet as the Gungans and the Naboo put aside their differences. In the interests of preserving ecological stability, alleviating overcrowding in Otoh Gunga, and fostering peace and goodwill, the Naboo and the Gungans launched an ambitious joint venture to colonize Ohma-D'un, one of Naboo's three moons. The grand experiment worked, creating a stable ecology on the moon. Unfortunately, the colony was attacked by the Separatists with a chemical weapon early in the Clone Wars. Many Gungan colonists died exposed to an experimental toxin engineered to wipe out the Republic's clone army. 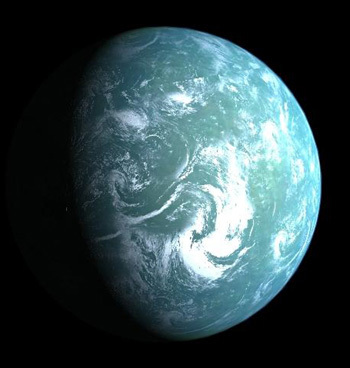 Naboo was spared from the worst of the Clone Wars, and with the rise of the Empire, the placid planetoid tried to remain an example of a more peaceful time before the collapse of the Republic. The young monarch, Queen Apailana, quietly rebelled at the changes enacted by the Empire. When she went too far, and was believed to be harboring Jedi fugitives, the elite 501st Legion were dispatched to Naboo to eliminate her and bring the planet back in line. She was replaced by Queen Kylantha, who was put on the throne as a puppet ruler. Kylantha was not a supporter of the Old Republic, but neither was she an Imperial proponent. Kylantha refused to alter the democratic structure of the Naboo constitution, though she would reign for a much longer span of years than prior rulers (it is unknown if she became Queen for life). She is thought to have secretly and privately distrusted the Empire, but did not want a return of the Old Republic. Publicly, she maintained the status quo during the Empire's reign. She also appointed Padmé Amidala's niece, Pooja Naberrie, to the Imperial Senate. There Pooja would be a contemporary of her cousin, Princess Leia of Alderaan. Unfortunately, they would never know of each other's biological relationship. After the Battle of Endor, when news of Palpatine's death had spread across the galaxy, Naboo saw an uprising which apparently ended with the ousting of the local Imperial garrison by a combined force of Gungans and Naboo's Security Forces. Whether they were successful in liberating the entire world in this instance is unclear. After the downfall of the Empire, Naboo ambassadors were sent to negotiate terms with the New Republic, and were among the signers of the Galactic Constitution. During the New Republic era, the Chommell Sector was represented in the New Republic Senate by Arani Korden and later by a Gungan Senator.